Last year we hit the road and took our annual Citizen Driver ceremony to Iowa 80’s Trucking Museum, but this year we brought the celebration back to the Mid-America Trucking Show on March 29. Fellow drivers, family and friends of our 2019 honorees joined us at MATS to support this year’s honorees. Below are the 2019 Citizen Drivers and the travel centers that will be dedicated in their honor. Without professional drivers, every aspect of our lives would be affected. Over 70 percent of all the freight tonnage moved in the U.S. is done so by trucks. From the food we eat to the clothes on our backs, professional drivers deliver the necessities and luxuries our communities rely on each and every day. Despite the 3.5 million professional drivers in the U.S. alone, this profession and the men and women who keep our economy moving are still largely underappreciated. 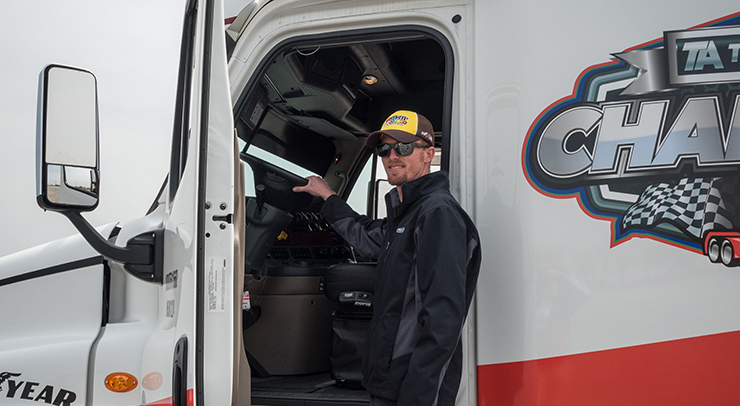 Citizen Drivers embody the values of the truck driving profession through citizenship, safety, health and wellness, community involvement and leadership. This award is a way for us to show outstanding professional drivers that we appreciate their hard work and recognize the value they add to our everyday lives. 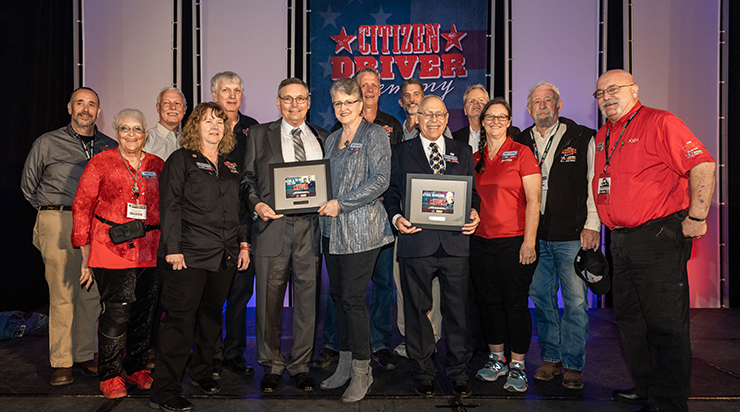 Citizen Driver nominations are accepted the previous year from a variety of people—fleet owners and executives, other drivers, family members, trucking organization members and trucking industry suppliers—who want to recognize the drivers who have influenced their lives in some way. Every year the honorees are determined with the help of some distinguished members in the trucking industry. This year's judges included David Cullen, Executive Editor of Heavy Duty Trucking; Eric Harley of Red Eye Radio; Dave Nemo of Road Dog Trucking; Chris Spear, President and CEO of the ATA; Todd Spencer, President of OOIDA; Steve Sommers of America's Trucking Network and Ellen Voie, President and CEO of Women in Trucking. After we have selected the semi-finalists and finalists, our judges choose the honorees based on how well they demonstrate citizenship, safety, health and wellness, community involvement and leadership. You can find more details about the official contest rules on our Citizen Driver website. Once chosen, the newly endowed Citizen Drivers choose a TA or Petro Stopping Center to be dedicated to them along with TA and Petro gift cards, UltraONE rewards and more. 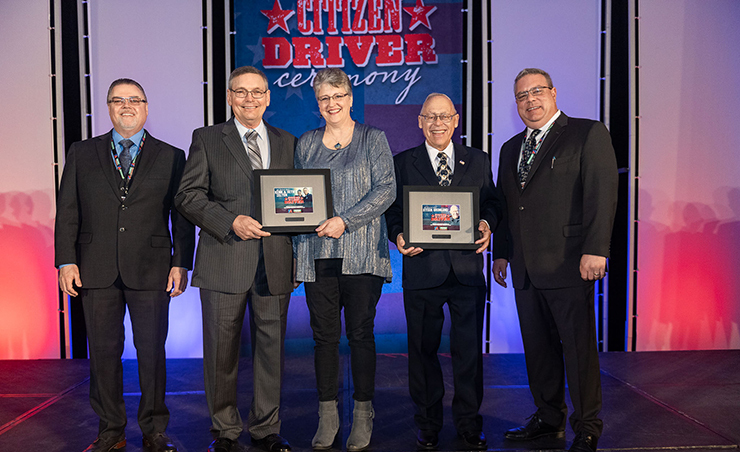 Help us continue our search for the best professional drivers in the trucking industry by sending us your nominations for the 2020 Citizen Driver awards! Next year’s nomination form, rules and other information will be available on the Citizen Driver website in June. Stay tuned to learn more about our 2019 Citizen Drivers in the coming weeks.